Microwave glass plate, Ф284mm Microwave glass plate, ф 284 mm. 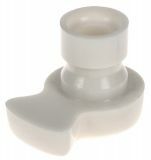 Microwave roller ring SHS0115 Roller for a microwave oven, three wheels, diameter 260 mm. Plate for microwave ovens Galanz, Ф255mm Microwave ovens plate Galanz ф 255 mm. 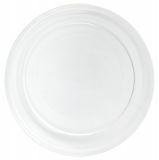 Microwave plate, Ф272mm Microwave oven plate with diameter ф 272 mm. Microwave plate, 280mm Microwave oven turntable plate ф 280 mm. List Price 14.90лв. VAT Incl. 14.15лв. VAT Incl. 13.41лв. VAT Incl. 12.66лв. VAT Incl. Plate for microwave ovens LG, Ф245mm Microwave ovens LG plate. Microwave glass plate, Ф284mm Microwave glass plate, turmable with diameter ф284 mm. Microwave glass plate, Ф324mm Microwave glass plate, ф 324 mm. 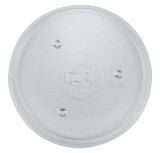 Microwave glass plate, Ф 245mm, LG Microwave glass plate for LG microwave ovens.